In a previous article, we explained the role of the Futures Commission Merchant (FCM) as well as the reasons that the Commodity Futures Trading Commission (CTFC) requires registration via the National Futures Association (NFA) for many individuals and organizations. There are other regulated roles when it comes to the commodity futures markets in the United States. These positions facilitate a separation of responsibilities and create efficiency within the industry. In this piece, we will look at the roles of the Introducing Broker (IB), the Associated Person (AP), the Commodity Trading Advisor (CTA) and the Commodity Pool Operator (CPO). In the world of futures markets, there are many important roles for professionals with expertise in trading, executing, margining, settling, brokering and even managing client funds that invest in these markets. The IB or Introducing Broker is a professional that is a futures broker. The IB often has a direct relationship with a client, however; the IB delegates the client's futures orders to a Futures Commission Merchant for execution, clearing, and settlement. The IB receives a commission for orders directed towards the FCM. An IB can work for one or more FCM's. The role of the IB increases efficiency in that it allows the IB to focus on client needs while the FCM concentrates on execution, trading and floor operations. An FCM or related futures company employs an Associated Person (AP). AP's are involved in the solicitation or facilitation of transacting client futures orders, the maintenance of discretionary accounts and participation in the futures markets. Discretionary accounts are usually those where an AP will have discretion over buying and selling for a client. These accounts must have written power of attorney according to market regulations. In most cases, all employees of FCM's must register with the NFA as AP's. A Commodity Trading Advisor or a CTA can be an individual or a firm. CTA's provide individualized advice regarding the buying or selling of futures contracts, options on futures contracts or certain foreign exchange contracts. The NFA requires that CTA's register, as it is the self-regulatory agency for the futures industry. While a CTA acts like a financial advisor, the role is unique to trading in products on futures exchanges. A CTA often has discretion over funds that clients deposit. CTA's have specific reporting requirements designated by the ultimate regulator, the CFTC. A Commodity Pool Operator is an individual or a firm that solicits and receives funds from clients for investment in commodity futures, options on futures and any vehicles that trade on commodity futures exchanges in aggregate. A CPO aggregates client funds in a pool and then invests these funds in one central account, thus pooling that capital. While there are many similarities between a CTA and a CPO, the CFTC has specific rules and regulations that draw a distinction between the two. All of these professionals, who do business in the futures markets, must pass a proficiency test that the NFA administers. That exam is the Series 3 exam. Under certain circumstances, exemptions are possible so long as the regulatory body, the CFTC, approves that exemption. 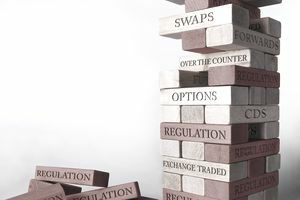 The regulatory environment for commodity futures trading and brokering dates back to the 1970s when retail investors became active in futures markets. The CFTC has gradually expanded the regulatory requirements for all professionals involved in these markets. Futures markets operate with a high degree of leverage. Therefore, the potential for significant gains has attracted many investors and traders over past decades. When there is a high potential for profit, there always exists a potential for significant losses as well. The regulatory environment protects not only clients of these professionals but standardizes the rules and regulations in an attempt to create a level playing field for all market participants. The election of Donald Trump as President of the U.S. is likely to change the regulatory environment across all asset classes including in the futures business. President Trump will appoint up to three new commissioners to the CFTC who will likely take a more hands-off approach to regulation in the future.